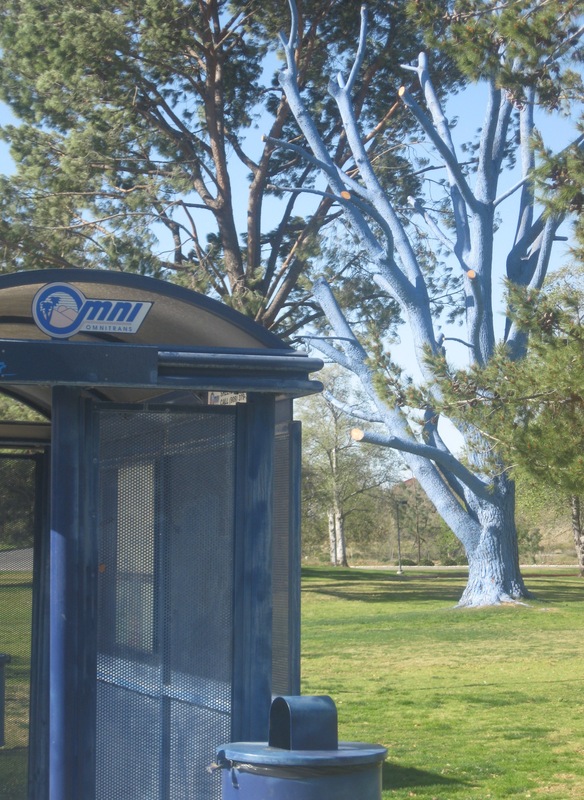 If you’ve driven by the Cal State San Bernardino campus lately, you may have been surprised to see a large blue tree behind the Omitrans bus shelter on University Parkway. The old pine is one of three trees that are being cleared to make way for the future campus sbX Bus Rapid Transit Station. 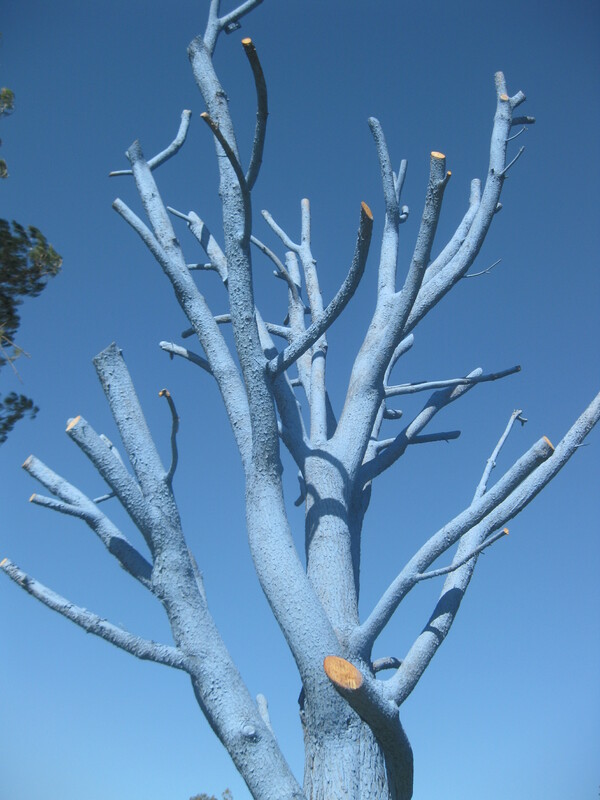 The Blue Tree Project is a part of a program to develop ecologically themed artwork for the station. The project is a collaboration that includes The Omnitrans E Street Corridor sbX Bus Rapid Transit Project team, the California State University, San Bernardino Art Department and professional artists from Greenmeme. Using blue colors, photography, and other artistic methods, the artists will reproduce images of the pine tree that will be transposed onto the station’s glass panels. Glass-panel artwork on the station canopy will convey public transit as a means of reducing harmful greenhouse gas emissions from vehicles and capture the essence of the natural surroundings of the university. For more information about The Blue Tree Project, please call at the Robert and Frances Fullerton Museum of Art at (909) 537-7373. The sbX BRT Project is the first of-its-kind express service to be constructed in the Inland Empire. It is the beginning of an intermodal public transit system in the San Bernardino Valley that will reduce vehicle congestion while providing the public an environmentally friendly alternative that is sophisticated, cost effective, and time efficient. The 15.7-mile corridor covered by the project spans between northern San Bernardino and Loma Linda. It will include 16 art-inspired stations at key university, government, business, entertainment and medical centers as well as four park-and-ride facilities. 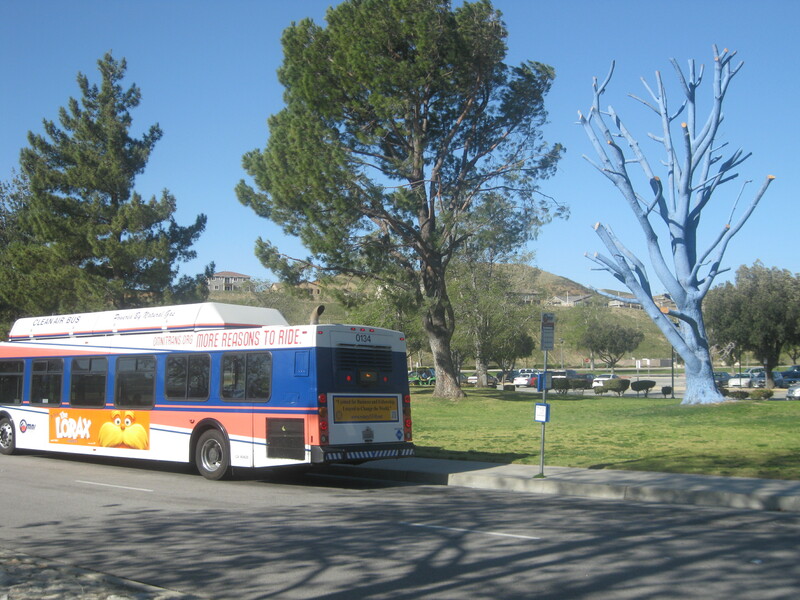 This entry was posted in sbX construction and tagged blue tree project, california state university san bernardino, ecological art, greenmeme, omnitrans, omnitrans blog, sbx bus rapid transit project, sbx construction, sbx rapid transit. Bookmark the permalink.